Founded in 2008, Mandarin Zone School is a Chinese school in Sanlitun embassy area of Beijing, providing effective language training as well as other culture related service to non-native speakers. 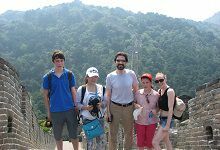 With variety of Chinese courses and programs for adults and children, for short term and long term. Mandarin Zone School offers the flexibility to choose the right program and course for your Chinese study. Why you should learn Chinese at Mandarin Zone School? Since 2008 we had the chance to prepare people of different ages from all over the world, from beginner to advanced, from students of plenty majors (some not satisfied by the Chinese University with classroom of 20/30 students, which come here to correct their pronunciation) to professionals from different industries (a big share of our students are from Embassies and large Enterprises). This wide and varied teaching background allows us to really understand and be able to satisfy the learning needs of basically any students who desire to study in our school. Our passionate and qualified teachers that are teaching many years and that are able to develop and adapt the right teaching method based on the students needs. Why you should learn Chinese in Beijing? Beijing is the capital, political and cultural center of China. But the most important reason is that in Beijing the people speak standard Chinese: in fact when we talk about Chinese language, we intend standard Chinese (Putonghua , Hanyu) which has phonology based on the Beijing dialect. 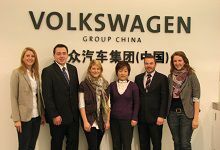 It means that together with your study classes you will have the chance to be surrounded by people who speak standard Chinese, this can help you improve your Chinese. 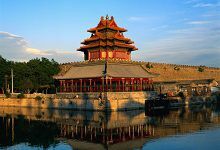 Beijing is an ancient and beautiful city with rich history and at the same time an international and vibrant metropolis. New Chinese Beginners’ Group Classes Starting in April 2019! On-going Chinese Group Classes! Apply for a TRIAL CLASS! HSK Test Schedule in May 2019 ! HSK EXAMS! Intensive Chinese Class during the May Day Holiday!